“Saturday Sept 30th was a great day – our Ambulance Sports. I was on the Sports’ Committee, and we had many hectic days beforehand getting everything in order. The field had to be roped off, and marked out for the various races. We had it nicely decorated with Allied flags. Handicapping the entries was another trickish job. 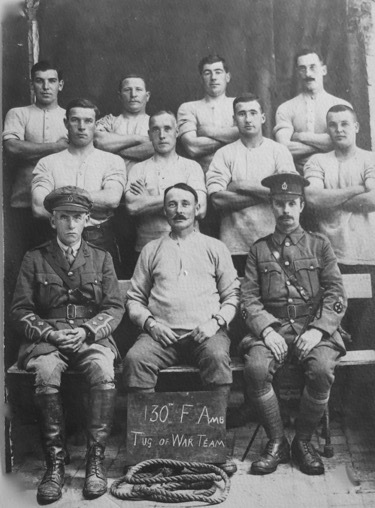 The men were very keen, and training went on far into the night for weeks beforehand! The Sports were a great success, and a big crowd from a wide area was present. The tug-of-war contest was most exciting, and the obstacle race provided a laugh for the onlookers. Lt. Col. J.G.H.Davies D.S.O. on left & R.S.M. Stroud on right. During the afternoon a Hun aeroplane attacked and set fire to a Belgian captive balloon not far off. The balloon came down in flames. One of the occupants escaped safely via parachute, but the other was burned to death. A dud anti-aircraft shell fell close to the sports’ field, and put the wind up everybody. It was funny to see so many people all ducking and waiting for the shell to explode – which it did not do, of course! At night our Concert Party gave a very successful show. I appeared in Scottish items and got a fine reception. The idea of a mobile armoured vehicle capable of carrying a crew and fighting soldiers was dismissed by the Army powers that be as being impracticable. However, in February 1915 Winston Churchill, then First Lord of the Admiralty, formed a “Landships Committee”. 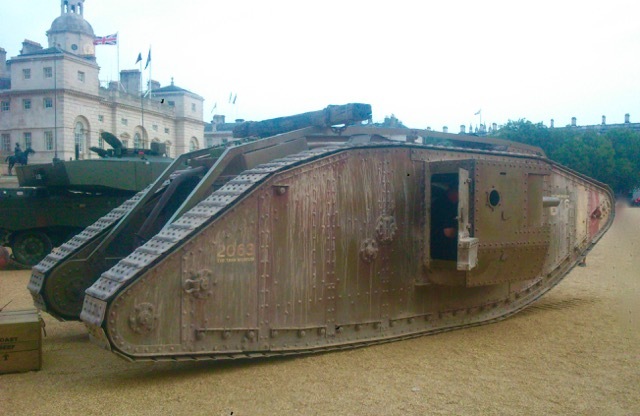 Its purpose was to develop an armoured fighting vehicle to convey mass numbers of troops, with a capability of breaking the deadlock that had emerged on the Western front as both sides “dug in” heralding the stalemate conditions of trench warfare. 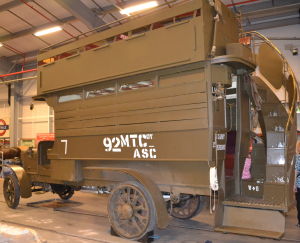 This effort was to result in a prototype vehicle being produced by the autumn of 1915 which became known as “Little Willie”, produced by William Foster & Company of Lincoln. The term “Little Willie”, possibly being an insult to the Kaiser. Development was taking place in the utmost secrecy, even the name “Tank” was used to fool the enemy into thinking they were making water carriers to convey fresh water to the front line. 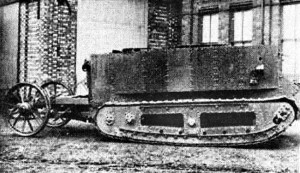 The first prototype led to the production of another grander more powerful machine named “Big Willie” which in turn led to the Mark 1 tank. During February 1916 Churchill had contacted General Haig to convince him of the worth of these landships. They were to be used as an infantry aid and any instructions were to be given and commanded in conjunction with an infantry unit. Haig though was a cavalry officer and thought like a cavalry officer. Some have said that Haig was slow to take on new technology and relied too heavily on the use of the horse. An unfair assessment in many ways as he had set up a training school in St. Vernant to train officers in the use of rapidly developing weaponry such as new trench mortars. So he was quite susceptible to the use of new equipment. Forty nine Mark 1 tanks were eventually delivered to France. Untried and untested, they were sent for evaluation and training in preparation for unleashing a terrifying secret weapon upon the Germans. Haig though, was under increasing political pressure at the lack of a breakthrough during the Battle of the Somme with the enormous humanitarian cost. Losses of approaching 60,000 on the first day alone followed by continuously mounting casualties and the battle now descended into a war of attrition. This present of a brand new weapon was too much of a temptation. He ordered the tanks to be deployed at a new phase of the battle to begin in the middle of September. The Battle of Flers-Courcelette began on Friday 15th September 1916. The untried tanks were to be a central part of the operation. The great lumbering beasts, a development of an agricultural tractor with a top speed of around 4mph, powered by an engine around twelve times the size of a modern car engine and carrying a crew of eight, rumbled into the front line for the first time. A short movie explaining the development of the tank can be seen here. Out of the number of tanks delivered to France only about 32 made it to the assembly points. Out of these 7 failed to start and only 9 were still serviceable at the end. As battle commenced the initial effect on the Germans was one of shock and terror. Nothing like these gigantic monsters had ever been imagined in the history of warfare, but soon the tanks’ early vulnerability became apparent. Crews had no training of any kind, they were unfamiliar with anything these machines were capable of, or the terrain they were to be introduced to. 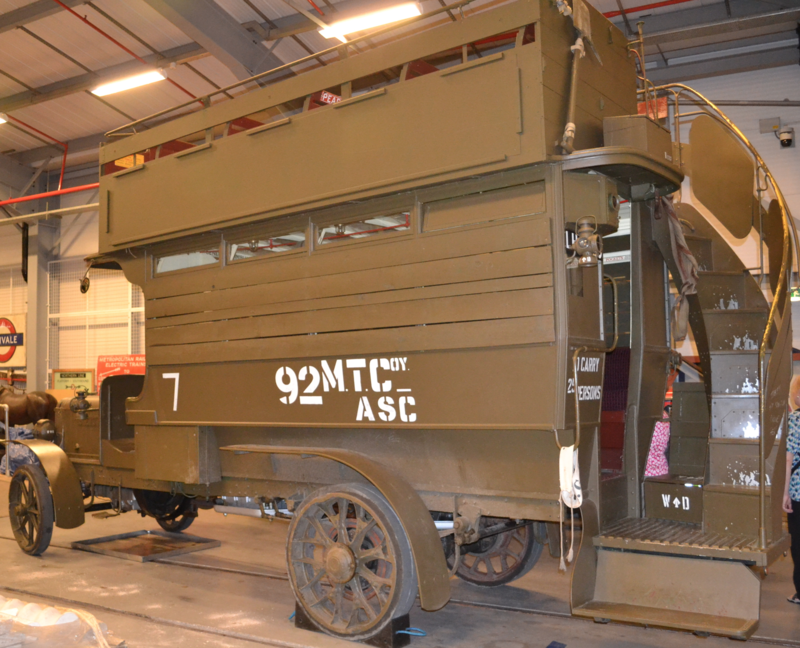 Developed in England where they were able to easily cope with ploughed fields and open farmland, they were then thrown onto the moonscape of the Western Front and found the challenge too demanding. The crews not only had to withstand the searing heat of the interior but leaking exhaust fumes filled the tank causing choking and poisoning. The enclosed space of these landships, pitching violently and crashing over the rough terrain, caused seasickness in the crews. The machine gun bullets although not penetrating the armour caused white hot metal to fly off the point of impact on the inside which would stick to the skin of the occupants. There was a lot to learn. 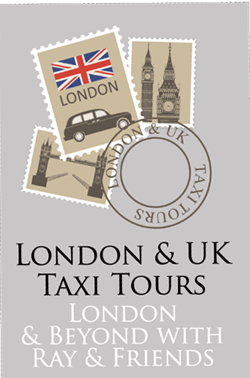 See the Mk1 in action here. 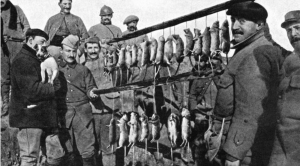 Despite having some initial success, they also failed to cause any great lasting victories and would not be used in earnest again until the Battle of Cambrai in 1917. 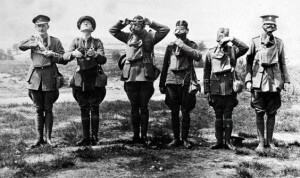 Nevertheless, Haig was sufficiently impressed with their ability to immediately order a thousand to be delivered a.s.a.p. 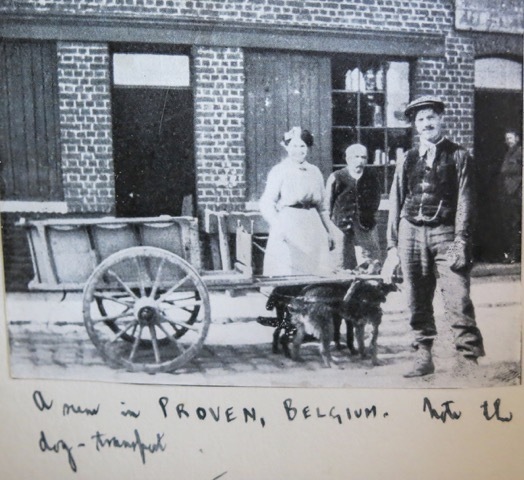 “We were relieved at 10pm on the 6th September, and went into the Brigade Rest Camp huts in a wood near Trois Tours Chateau – for a period of rest from the trenches. Here I was kept busy with sick-parades, etc, and also put the whole battalion through a hut filled with tear gas in order to test their new respirators. All went well. Back on 16th March 1916, Young Douglas Page described how in a lull in activity he was able to bathe the men’s feet, many suffering from trench foot, in the la Bassee Canal. I mentioned at the time of the possibility of Weil’s disease in the water. Today’s post reveals something remarkable. I had no idea of the significance back in March, having forgotten the detail in today’s posting of what seemed like a typically nonchalant entry in the diary. A fact that might indeed have had more significance to Douglas in later life than it did at the time of his diary entry. 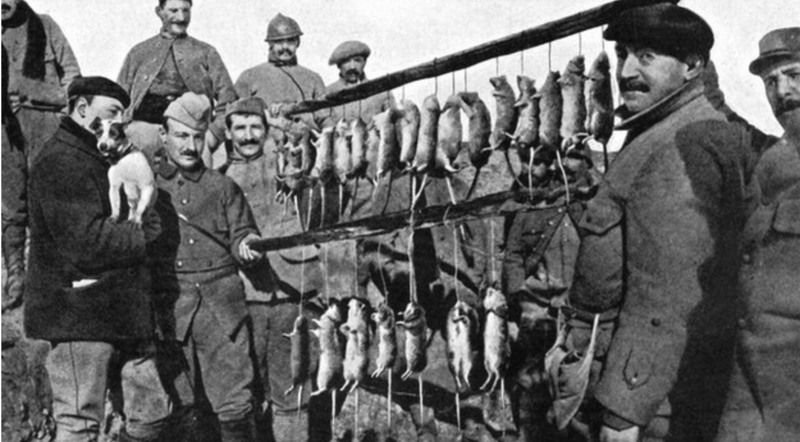 Captain Stokes’ request that Douglas find him a live rat to experiment on was to result in conclusive evidence of Weil’s disease being spread by rats, the germs being present in the internal organs and being dissipated in the rat’s urine finding its way into the canal water. Stokes had in fact been studying Weil’s disease for some time and was to quote a study by researchers in Japan that had produced a paper on it. 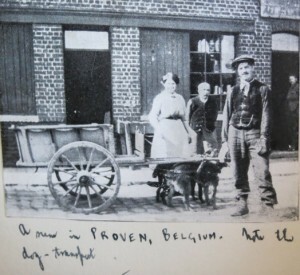 The discovery was a key factor in diagnosing the illness that had affected hundreds of troops at the time on the Western Front, particularly those by the Yser Canal in the Ypres area. *A “Rum Jar” was a slang term for a German trench mortar. It would typically contain shrapnel of random metal pieces inside what looked like a piece of iron pipe with a wooden base. A home-made affair, typically detonated by a time fuse.